That brings our coverage of the Scottish Parliament on Thursday 27 April 2017 to a close. We'll be back next week. Until then, have a good weekend. MSPs back the financial resolution for the bill. MSPs unanimously back the general principles of the Limitation (Childhood Abuse) (Scotland) Bill. Ms Ewing says there is consensus in backing the general principles of the Limitation (Childhood Abuse)(Scotland) Bill. Ms Ewing says she absolutely recognises that the estimates of cases is "not an exact science" and that the government have "no way of knowing" the exact figures at this stage." The community safety and legal affairs minister says that the government have used a range of sources to reach this estimate and there has been no other way of doing this. "Not all cases identified by police will result in civil actions," she says. Ms Ewing says she also recognises that the costs may exceed the estimates. Community Safety and Legal Affairs Minister Annabelle Ewing says decisions around civil actions are complex. Ms Ewing says the government is looking at ways to improve the support for survivors. She says it is important that the definition of abuse sends the right signal while avoiding unintended consequences. The minister says she will reflect on the definition of abuse. Community Safety and Legal Affairs Minister Annabelle Ewing says "pursuing justice for this group of people should not be obscured." Ms Ewing says she will give consideration to the issues raised during the debate and she is grateful to contributors for their tone. The community safety and legal affairs minister says the the government have invested in support for survivors. Ms Wells says pursuing a civil action will not always be the right solution for all survivors. The Tory MSP says there must be support in place for survivors. She asks hat the Scottish government can do for those abused before 1964. Ms Wells says underpinning this bill is the unique challenges that survivors face. The Tory MSP says it takes survivors an average of eight years to tell someone about their abuse. She says the committee has highlighted what it sees as a "conservative estimate" on the survivors that may come forward. Ms Wells says this presents financial and practical concerns. Conservative MSP Annie Wells joins other MSPs praising the survivors who gave evidence to the commitee. Ms Wells reiterates her party's support for the Limitation (Childhood Abuse)(Scotland) Bill. 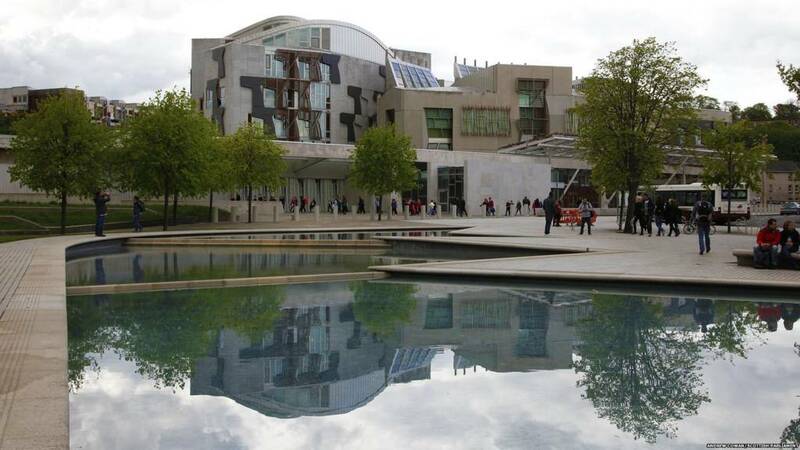 The Tory MSP says everyone understands the rationale for the three year time bar, however MSPs are in unanimous agreement that the time limitation for survivors of childhood abuse should be lifted. Ms Fee says Labour would like to see a model suiting Scotland's needs and, more importantly, survivor's needs. The Labour MSP says she supports the inclusion of neglect. She says there are serious concerns that there will be financial implications and that the government should confirm, in due course, how it intends to deal with that. Labour MSP Mary Fee says the bill will give survivors further choices. Ms Fee says for some civil action could bring about more harm than abuse. There must be support for survivors to make the right decision, she says. The Labour MSP says survivors must be helped to make the right individual choice. In closing for Labour, Mary Fee says she salutes the "outstanding bravery" of survivors. The Labour MSP says these are highly sensitive and emotive issues and clearly a priority that everyone in the chamber shares. Ms Fee says she has a few reservations about some of the small technical details of the bill. She says the current three year limitation rule is a barrier to justice and, by removing it, survivors can take their civil rights to the courts. SNP MSP Ben Macpherson says the Justice Committee worked collaboratively and constructively on this important bill. Mr Macpherson praises the survivors who gave evidence in private, which was "incredibly moving and upsetting". The SNP MSP says he welcomes the aims of the bill to improve access to justice by removing the three year time limit. He says: "This bill will rightly address that injustice." Tory MSP Gordon Lindhurst says he welcomes the government seeking to address the issue of child abuse past, present and future. Mr Lindhurst says "the law should be a facilitator and not a barrier to survivors." The Tory MSP commends the Justice Committee for the way they have approached this issue and the comprehensive report provided. He says the government has sought to estimate the number of survivors who may raise an action and says it should be prepared for more survivors coming forward. and apply to abuse that took place after 26 September 1964.